What role for repositories after (Gold)Finch? As the discussions around the rights and wrongs of the Finch report rumble on (like a storm that you think has moved away before frightening the life out of you with a huge thunderclap right over your head), the new RCUK policy will take effect on April Fools Day next year (not sure if the date is significant?) whereby RCUK-funded authors must publish in RCUK-compliant journals i.e. journals that offer a suitable gold option OR a suitable green option. By “a suitable gold option” RCUK means immediate (unembargoed) OA to the “version of record” from its own web site, under a CC-BY license AND permission for immediate deposit of the version of record in an OA repository, also under a CC-BY license. If the recommendations of the Finch report are realised and full gold OA is achieved in the UK, will the main function of repositories then be to preserve the institutional “version of record” and should we endeavour to procure that version rather than, for example, giving up and going home…or, perhaps, just linking to the gold version elsewhere? In addition, repository infrastructure is predicated on the principles of interoperability, and though the potential to aggregate repository content across the national and global network has arguably not been fulfilled, it continues to be an active area with the development of services like BASE in Germany, RIAN in the Republic of Ireland, JAIRO in Japan and CORE in the UK. 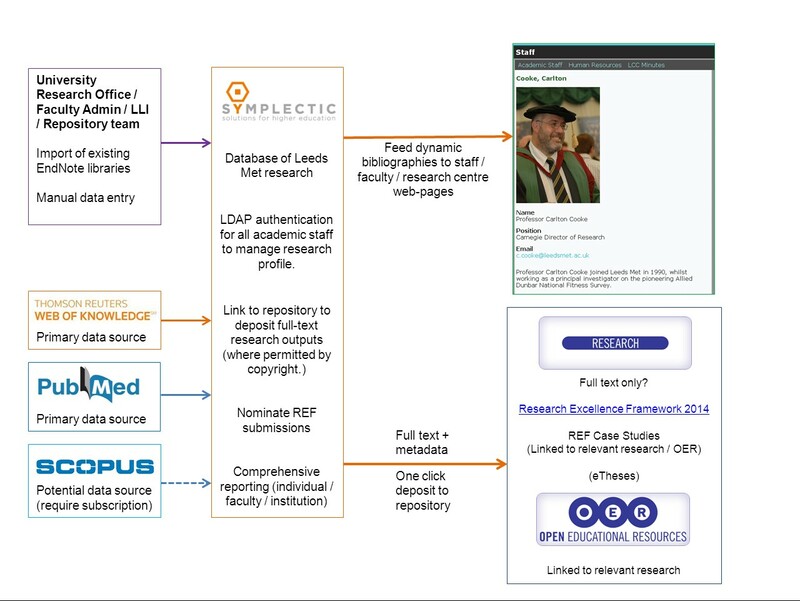 If we are able to work within the prescriptions of Finch and the RCUK policy to increase the quality assured content of our repositories as well as integrating with institutional systems and making them ever more flexible tools for our research communities then together with the prospect of COUNTER compliant download stats from repositories (see that ukcorr post) we can continue to play a pivotal role, not just in the evolution of Open Access to research but the active dissemination of research to the public and increase the profiles and reputations of our institutions to boot! As this is the inaugural Open Education Week (whaddya mean you didn’t know?!) here’s a great 5 minute animation from OER IPR support giving an overview of IPR and licensing issues you need to be aware of when creating and repurposing Open Educational Resources. 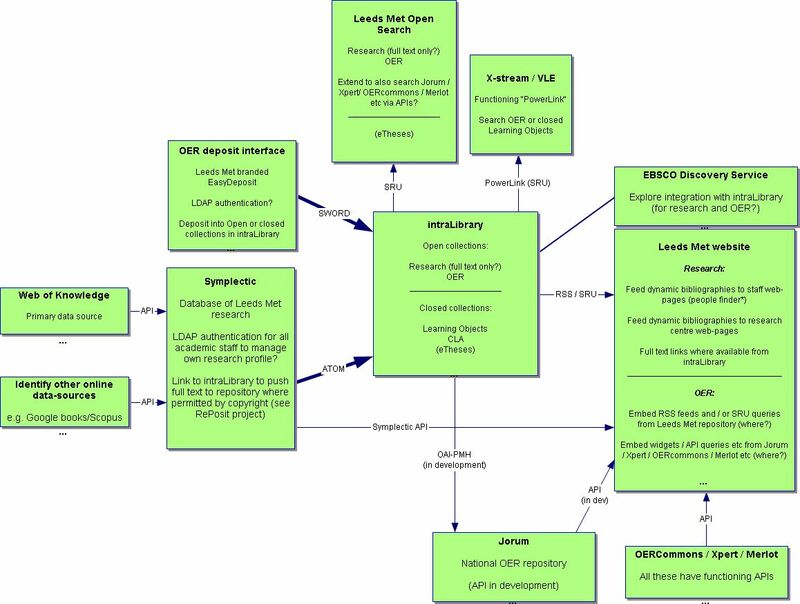 Turning a Resource into an Open Educational Resource (OER) – Leeds Met Repository Open Search.